The well marked island track starts at the main beach and climbs up the pa situated in the centre of the island. At the summit of the pa, you are treated to spectacular views of the surrounding Bay of Islands.Getting there Once out on the water from Paihia or Russell, the first island you see is Motuarohia, distinguished by its two glorious lagoons – the most photographed scene in the Bay. 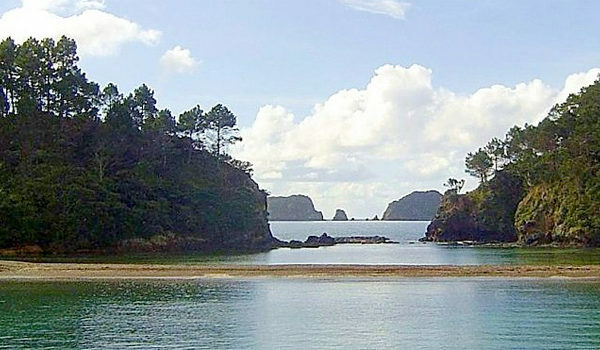 Motuarohia Scenic Reserve lies in the inner Bay of Islands on the East Coast of Northland. The Island has safe anchorage.